Auto Lawyers in Chicago – What Makes a Great Auto Lawyer? So, you’ve been in a car accident that was not your fault, and are wondering what you should do, and whether or not you should hire an auto lawyer. Car accidents can result in catastrophic, life-altering injuries that might leave you pondering what the future holds in terms of your quality of life. You likely have a lot of questions. Here, we attempt to answer some of them. How Much Do Auto Accident Lawyers Usually Charge? What Are the First Three Steps to Take When Injured in an Auto Crash? How Long Will It Take to Receive Compensation for My Injuries? What Are the Largest Auto Lawyer Settlements in Chicago History? What are the Three Most Important Things to Research Prior to Hiring an Auto Lawyer for my Injury? What is the Statute of Limitations for an Auto Accident Injury? In most personal injury cases, attorneys charge a contingency fee of 33 percent, although in car accident cases, that percentage can be higher, perhaps up to 40 percent, along with legal fees. You won’t be charged for your initial consultation, and if you hire a car accident attorney, you won’t pay any up-front costs unless your attorney wins your case. If you’ve been injured in a car accident, it’s important to do the right things in order to protect yourself, including calling 911 immediately following the accident. Gather evidence and take photographs at the scene. If you are able, take down pertinent information including the other driver’s name, insurance company and make and model of the vehicle. Take photographs of the accident scene and gather witness information in case you need it in court. Take down police information as well so you can easily access a police report of your accident. See a doctor. Medical records that begin in the immediate aftermath of your accident will be critical evidence in your case. Even if you don’t think you were injured, it’s important to see a doctor to rule out any unsuspected injuries. See an attorney. Before you talk to an insurance company, you’ll want legal representation so that you don’t agree to a lowball offer that is not in your best interests. A lawyer will help you navigate through all aspects of the legal process from beginning to end. The time it takes to settle a car accident case in Illinois varies from case to case, and usually is controlled by a variety of factors including the insurance companies involved, any question of liability, the severity of injuries and whether or not those injuries are permanent and the need for expert witnesses to offer medical testimony to support claims of injuries (if a case goes to court, a trial depends on the schedule of attorneys for both sides. While some cases can be settled with an insurance company without going to trial – a process that will mean you receive compensation much faster – cases that go to trial can take several years or more to be settled. A case that is settled with an insurance company could mean that you receive compensation within 90 days of completing medical care, but in many cases a quick settlement is not the way to go. Under Illinois law, there are certain damages that victims of car accidents are entitled to recover, including property damage, medical expenses, lost wages, pain and suffering or wrongful death. Settling – and signing paperwork from the insurance company – signs away your right to ever seek additional compensation. Catastrophic injuries and wrongful death suits have resulted in fairly high settlements for auto lawyers in Chicago. The family of a 37-year-old man who was killed when the car in which he was a passenger was struck on the passenger side by a vehicle that went through a red light was awarded $4.25 million after negotiations with the other driver’s insurance company and that company’s under-insured motorist coverage. A pedestrian who was injured when a truck making a left turn stuck him and pulled him beneath the vehicle was award $3.5 million in damages to cover the cost of his injuries. A 69-year-old woman was awarded a $4.55 million settlement after a car accident which occurred when a car pulled out in front of her as she was making a left-hand turn, leaving her with debilitating injuries including being confined to a wheelchair for several years. If you have been injured in a car accident that was someone else’s fault, the most important move you can make is to hire the right attorney. A good attorney will make the process easier for you and will devote enough time and money to give you a better chance of winning your case. Communication. Your attorney should return all of your calls, every time you pick up the phone. You will likely have questions, and the right attorney will answer them, keeping you abreast of any changes or news related to your case as it happens so that you don’t feel out of the loop. Compassion. After a car accident, you could be struggling with the emotional ramifications of your injuries. Having an attorney who understands that you are likely stressed – and brings a bit of empathy to the table along with his or her willingness to work – is an important piece of the puzzle. Experience. 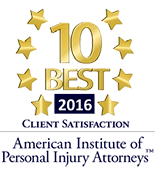 Experience is everything when it comes to hiring a car accident lawyer. You want someone who knows how to negotiate with insurance companies and adjusters and has been to court when those negotiations don’t result in a pre-trial settlement. An experienced attorney will handle your case properly and will stand a better chance of securing you a fair settlement. In the state of Illinois, those who are injured in a car accident have two years from the date of the crash in which to file a lawsuit against any responsible parties. If you have any questions at all regarding the Statute of Limitations for auto accidents we recommend you consult legal advice. 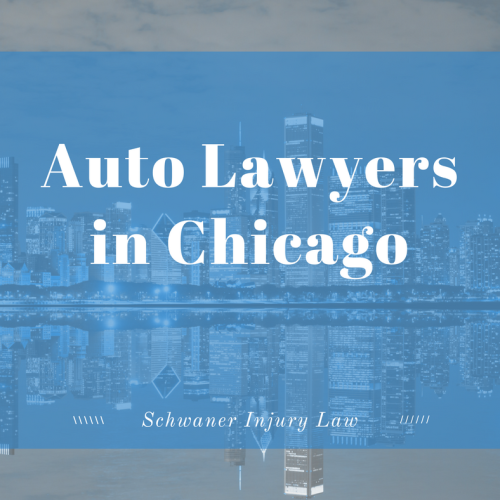 If you or a loved one was injured in an auto accident and are looking for an auto lawyer, contact us today at 312-635-4000.
https://schwanerinjury.com/wp-content/uploads/2017/09/Auto-Lawyers-in-Chicago.png 788 940 admin https://schwanerinjury.com/wp-content/uploads/2016/04/Logo-837x321.png admin2017-09-26 15:44:522019-01-26 10:27:15Auto Lawyers in Chicago - What Makes a Great Auto Lawyer?